‘The Snow Man’ by Wallace Stevens (1879-1955) was first published in 1921 in the magazine Poetry, and was reprinted in Stevens’s first collection Harmonium in 1923. Nice. Reminds me. I used to have an early morning paper route as a boy. I would peddle my bicycle, weighted with a hundred Sunday editions at 4:30 am. I would stop to rest, blow warm air into my gloves, and watch in a feeble, pink dawn, the winter wind blow a curl of snow off the top of Mt. Rainier. Quiet. The sound of ice, blowing like sand. I prefer Maui. 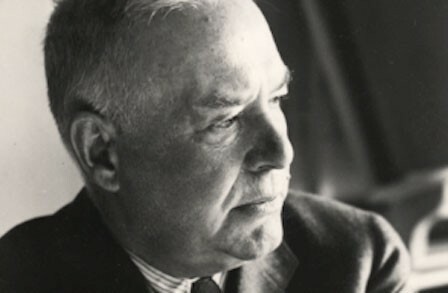 A dose of Wallace Stevens is often a very good thing. This entry was posted on January 2, 2018 by Vox Populi in Opinion Leaders, Poetry and tagged The Snow Man, Wallace Stevens.